Lauren has more than 15 years of experience in fundraising representing academic, human service and arts organizations, and annual fund and capital campaign initiatives. Throughout her career, Lauren has always gravitated towards the back office side of fundraising. Her belief in the importance of strong systems that allow for robust reporting, and her desire to help organizations manage their data effectively, led to her career as a consultant helping nonprofit and academic fundraising shops better manage and organize their Raiser’s Edge databases. Many organizations with great missions miss out on the full potential of their donor base because their donor databases are not organized for the type of in-depth reporting and analysis that is needed to uncover donor trends and hidden potential. Lauren has helped many organizations re-organize their databases so that they can track their prospects more effectively and raise more money. Having spent many years in the fundraising field, Lauren knows what frontline fundraisers and administrators need to do their jobs effectively. She is able to harness the power of Raiser’s Edge™ and other Blackbaud products to creatively address your needs through custom reporting, push button reports for staff with little or no Raiser’s Edge training, automatically generated thank you letters, informative dashboards, effective event tracking systems, and many other functions. Many people assume that once a database is in use, there is no way to address data inconsistencies. Lauren can expertly guide Raiser’s Edge™ patrons through the process of identifying issues in their database and understanding what can be done to remedy them. Lauren’s services include help with data clean-up, re-organization, conversions to Raiser’s Edge, and database merges. Lauren is available for technical support for Raiser’s Edge users and one-on-one coaching for new staff, staff with limited Raiser’s Edge training, and/or busy fundraising professionals who need help with a particular task or reporting need. 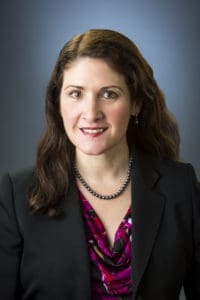 Lauren has held professional fundraising positions in Principal Gifts at Cornell University, the College of Engineering at Cornell University, and at Franziska Racker Centers in Ithaca, New York. She is the editor of the book, Building Your Analytics Shop: A Workbook for Nonprofits, by Marianne Pelletier. Lauren serves as Volunteer Fundraising Consultant for Ithaca Ballet. Lauren graduated with distinction from Cornell University in 2000 and was awarded the honor of Outstanding Senior. She lives in upstate New York with her husband, Howard, and in her free time, enjoys taking classes in ballet, competitive ballroom, and yoga.